There’s something about that sizzling platter of fajitas that always makes everyone’s mouth water when it goes by the table at your favorite Mexican food spot. 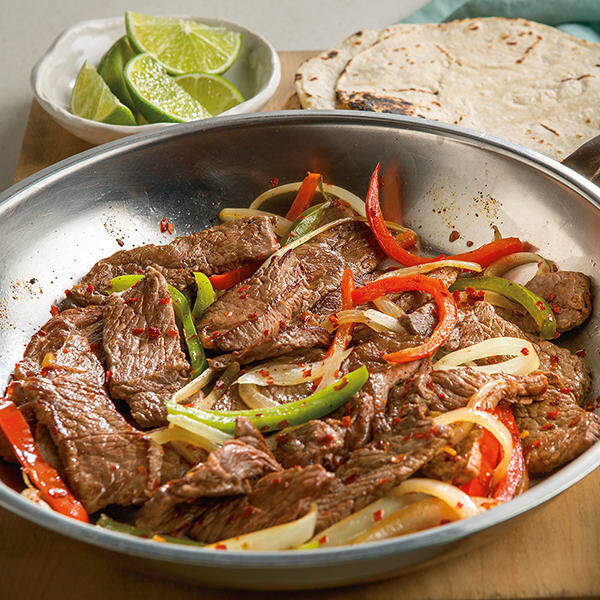 You can re-create that same restaurant experience at home with this steak fajitas recipe from Autumn Calabrese’s FIXATE cookbook. Her version goes heavy on flavor and light on fat and calories, while packing a big punch of protein. 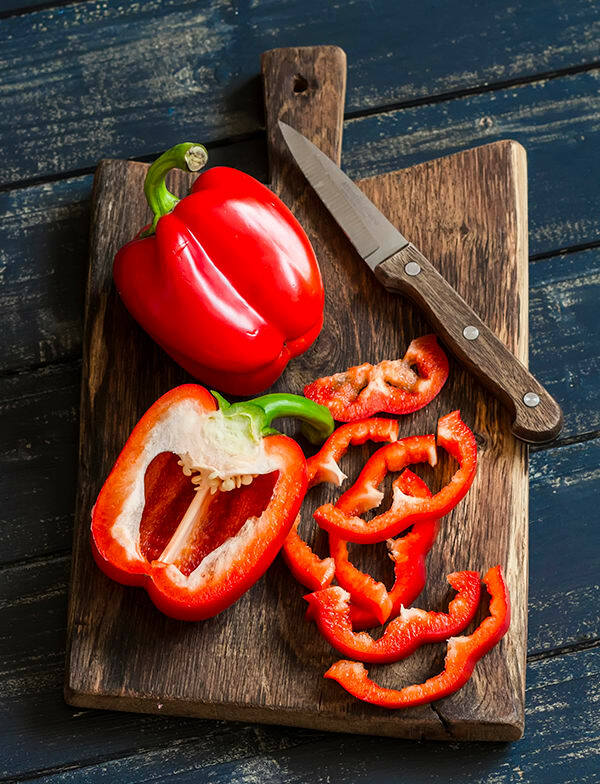 If you’re cutting carbs, or have used up all your Yellow Containers for the day, the steak and bell peppers taste just as great without the tortillas. You can wrap them in lettuce if you feel so inclined, or eat them over a bed of cauliflower rice. Check out our recipe for coconut lime cauliflower rice here, and feel free to modify the seasonings. Though sweet and tart coconut-lime combined with savory, chili-dusted steak might be a match made in heaven. If you’re meal prepping, it’s a great make-ahead meal that can be re-heated and eaten fajita-style or thrown on top of a salad. Watch Ultimate Portion Fix creator Autumn Calabrese and her brother, Bobby Calabrese make a similar version of this recipe for Steak Fajitas on their healthy cooking show, FIXATE! There's something about that sizzling platter of steak fajitas that always makes everyone's mouth water when it goes by the table at your favorite Mexican food spot. Re-create that same experience at home with this steak fajitas recipe.